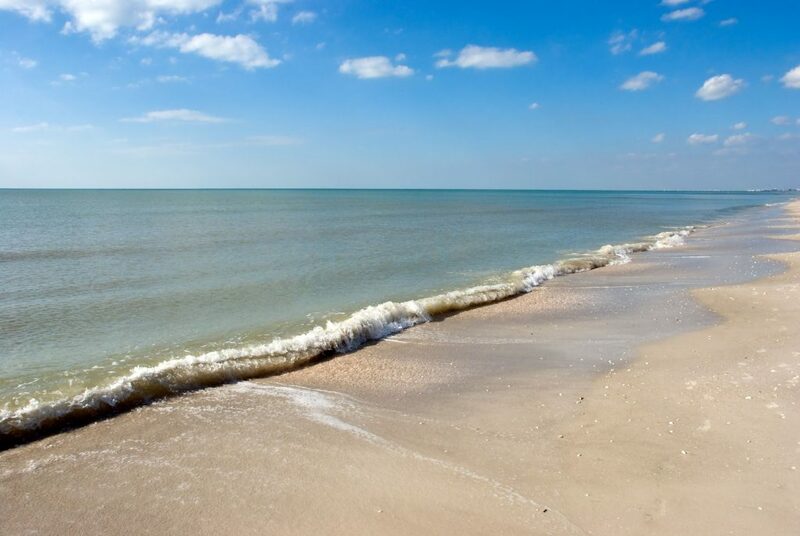 Naples Florida, boasts more than 10 miles of gorgeous beaches. With public access to the sandy waterfront from nearly every street, you enjoy the same beaches as owners of the stunning mansions, and beach front hotels that overlook the water. Eliminate the mystery of figuring out where the best beaches in Naples are. Relax, be safe, and feel confident trusting in our experienced perspective. Plan a beautiful holiday full of all the best things to do on Naples! 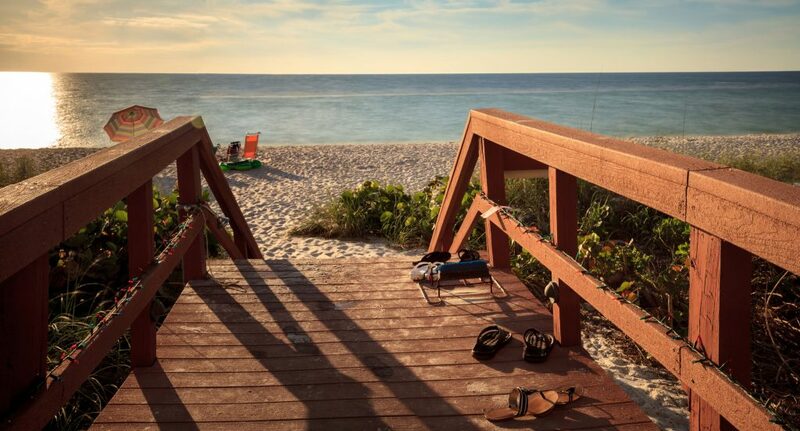 Plan a delicious family celebration, go beach hopping, paddle boarding, fishing, shelling, or just lay out in the sun and enjoy the privacy of your Naples vacation rental near the beach. Enjoy Naples Florida Vacation Home’s Top Beaches in Naples article, and get ready for some fun in the sun! This Collier County beach at the north end of Naples is a favorite of beach walkers because of its firm sand. Barefoot Beach gives you the options of family-friendly amenities (like a snack bar) near Parking Lot 1, or relative seclusion if you access the beach from the second or third parking lots. 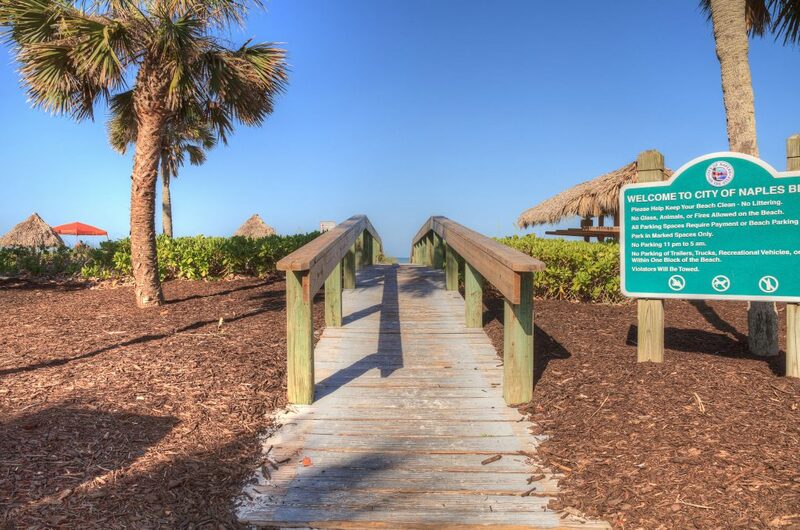 No question, this is the perfect Naples beach for peaceful relaxation. Dr. Beach website named Barefoot Beach one of the Top 10 beaches in the U.S., noting that the shallow water makes it one of the best beaches for swimming for families. How to get there: Its located south of Bonita Beach Blvd. 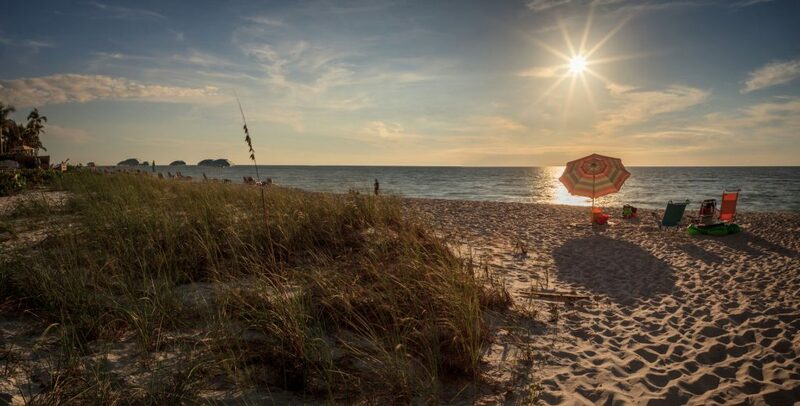 This state park has some of the best swimming beaches in Southwest Florida. But it’s also the place to come if your family wants a lot more in addition to beach activities. The state park has kayak and canoe rentals, stand-up paddle board rental, a restaurant, fishing, a hiking/nature trail, picnic areas, showers, tours, a scuba-diving area, and ADA-compliant restrooms. How to get there: Its located at the end of Immokalee Blvd. This is a small, attractive beach in North Naples, just a few blocks from Connor Park (the park also provides additional beach parking). Vanderbilt Beach is easy to reach from any part of Naples, and just around the corner from the Naples Park neighborhood. While a popular beach, it also has plenty of parking, including a large parking garage just west of the Ritz Carlton Hotel. How to get there: Head West on Vanderbilt Beach Road and the park is at the end of the road. This is a great beach for people who want to do more than just sit in the sand or frolic in the surf. Clam Pass Beach has a scenic boardwalk plus a trolley ride. 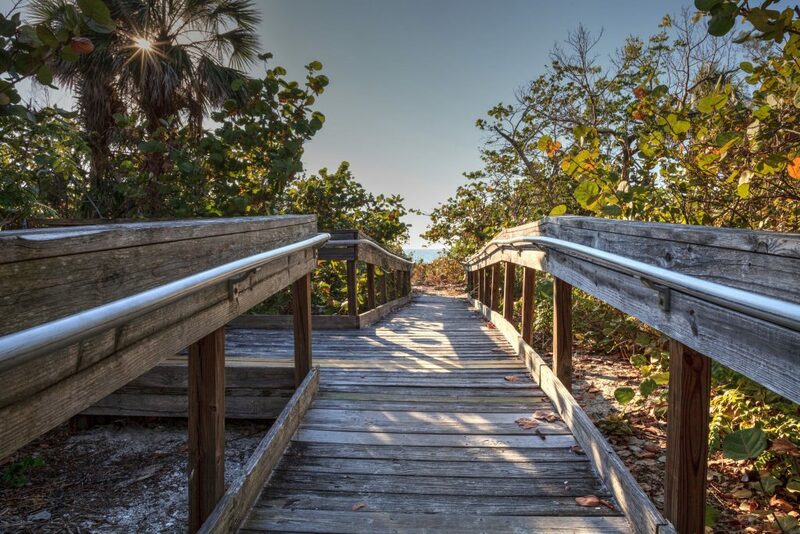 How to get there: Clam Pass Park is located in the North Naples area, one of the most populated sections of Collier County. Lowdermilk Park is one of Naples’ premier beachfront parks. Lowdermilk Park has plenty of metered and unmetered parking spaces, a concession stand, sand volleyball courts, two children’s playgrounds, picnic tables, benches, restroom and shower facilities, and two gazebos for rent. How to get there: Head west on Mooring Line Drive until it curves south. This is the scene beach that you see in all those stunning photos of Naples sunsets. This colorful and popular beach is in convenient proximity to all the amenities of downtown. Definitely the place to see and be seen. How to get there: The historic Naples Pier is located on the Gulf of Mexico at the West end of 12th Avenue South. While not clearly marked, there is public access to quieter stretches of the beach south of the pier. You’ll find pay-or-permit parking on the side streets off of Gulfshore Boulevard South and, even further to the south, off of Gordon Drive. 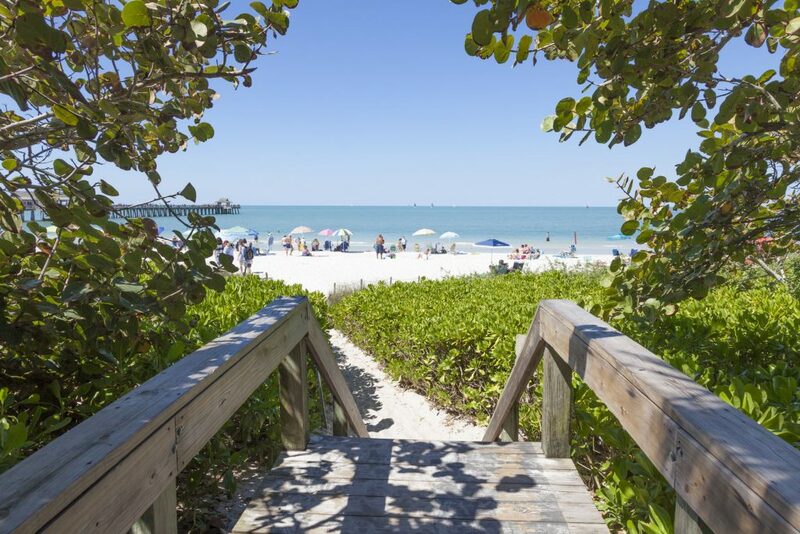 Thanks for taking the time to read Naples Florida Vacation Home’s Top Beaches in Naples post! We know that you will have the most amazing time while visiting all of Naples gorgeous beaches. Don’t forget to share this article with your friends! 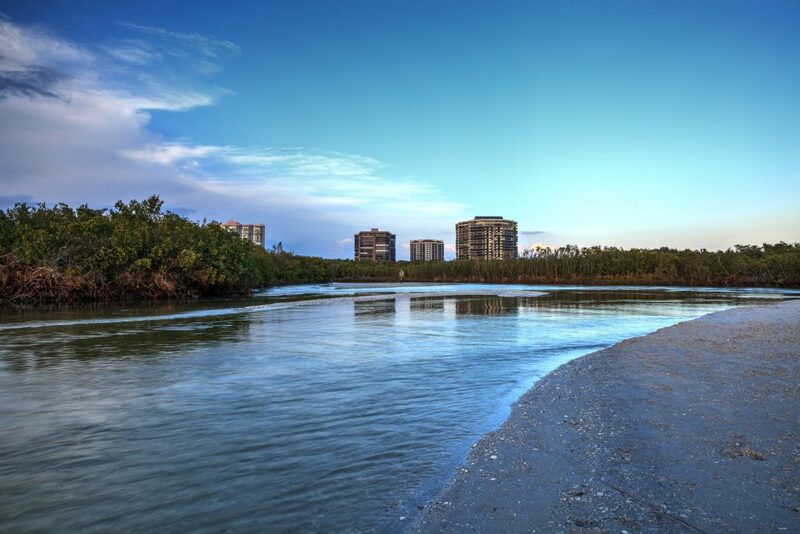 Have fun exploring Naples’ beautiful beaches!